General Hospital (GH) spoilers reveal that Sonny Corinthos (Maurice Benard) will be contacting a long-time rival as desperate times, call for desperate measures. We know that the Port Charles mobster has had a lot of enemies, but one of the biggest ones has to be Jerry Jacks (Sebastian Roche). Jerry was not a mobster, but something far dangerous, he was a traitor – someone who could flip sides, never loyal to anyone but himself or the highest bidder! GH has been teasing its fans about a traitor, someone who betrayed Cesar Faison (Anders Hove). 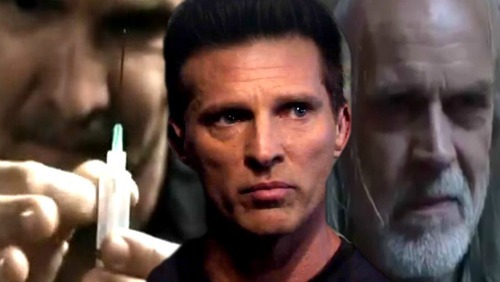 Faison was involved in the Mastermind team that mapped Jason Morgan’s (Steve Burton) memories and placed them in his twin brother, Drew Cain’s (Billy Miller) mind, in hopes of using the “enforcer” to their own advantage. Faison’s intent was to replace Jason with Drew and killing Jason, but the traitor kept Jason alive. Who other than Jerry Jacks would be sadistic and twisted enough to keep him alive, locked in a Russian clinic, sedated and for what? General Hospital spoilers reveal that Jerry Jacks has been known for working with the worst of the worst, like Cesar Faison and Helena Cassadine (Constance Towers). 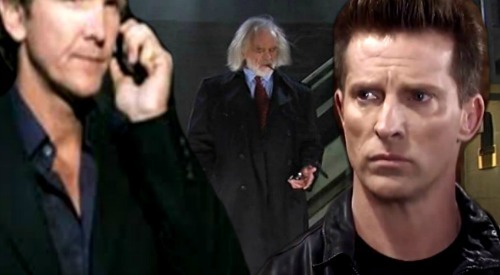 It is highly possible that he was connected to Valentin Cassadine (James Patrick Stuart) because it was all too convenient when Ava Jerome (Maura West) showed up at the clinic and was repeatedly left in the same room with “Patient 6” who ended up being Jason Morgan. Is it possible Jerry let Jason escape, and those henchmen who tried to kill him were not his, but Faison’s? The connections are obvious now, Jerry was suspicious of all activity around the clinic and found Valentin’s connection to Cassandra Pierce (Jessica Tuck), who was only a diamond dealer at that point. Jerry had a proposition she couldn’t refuse – turning her into a potential drug queen. Cassandra returns to Port Charles and with Jerry’s backing, begins to create a new street drug. Jerry is not new to drugs as fans of the ABC soap opera know he tainted the waters of Port Charles to extort the citizens out of $8 million, years earlier. 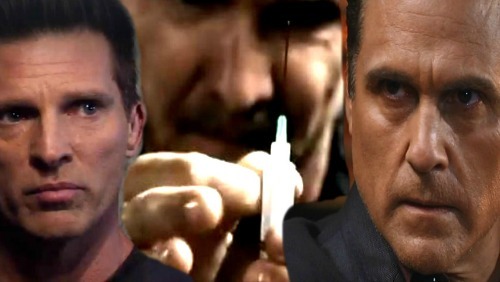 General Hospital’s Sonny Corinthos is well-known for not allowing drugs onto the streets of Port Charles, nor will he allow them to be shipped in nor out of his docks. Jerry may have found a loophole. If Jerry is indeed the traitor, he holds the key to Jason’s missing 5 years and Drew’s lost memories. Sonny knows that Jason is desperate to recover those years, even sacrificing his marriage and children to do so. As Sonny turns to an old rival for help, will he also turn a blind eye to something he hates, to ensure his best friend can regain his old life?